Not all the news coming out of the 2016 IAAF U20 World Champs is positive. 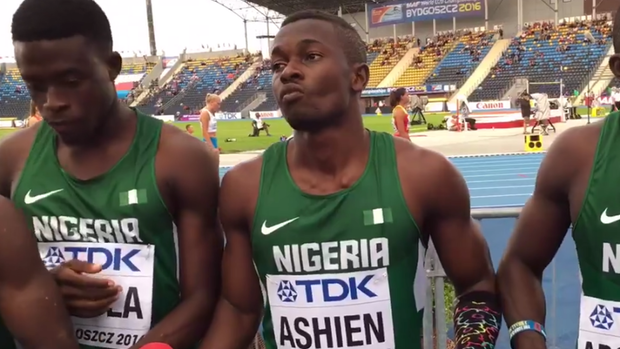 In interviews with Athletics Africa, the Nigerian 4x100m team go into some of the difficulties they have faced while on their trip to Bydgoszcz. In the interviews below, the Nigerians detail their struggles including a lack of food and support from coaches. Part 1: "Nobody cares about us...we didn't eat for 3 days...not everybody can run with stress"
Part 2: "We even heard somebody said they did us a favor by bringing us here (Bydgoszcz)..."
Part 3: "We were training ourselves for this relay..."